Snowy christmas market, gloves and scarfs, fireplace, all remind me of the wine that never failed warming my heart. A lot of you know am a big fan of mulled wine (Glühwein) and have asked for my Glühwein recipe. 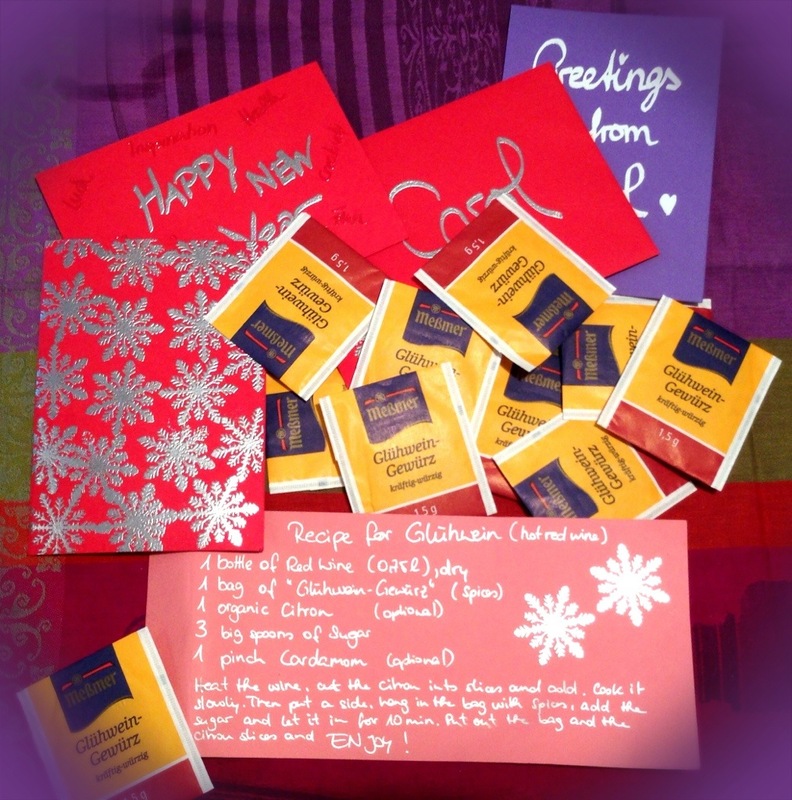 Today I got a very sweet belated present from Sonja, one of my best friends from Hamburg and one of the gift are bags of Glühwein and her recipe along with it. Instead of having to buy cinnamon stick and cloves etc, this is fairly easy and manageable for most. Love it and big hug to Sonja babe, it surely remind me of our great time at the Xmas market in Hamburg! Click on photo to check out such easy recipe! TIPS: you can also add pieces of apple, almonds and raisins too. You can also try the same recipe with WHITE DRY WINE too!